Web Development, .NET Development, XML Web Services, Database Development by Laubacher Multimedia Inc.
Business websites have evolved from online brochures to tools that integrate directly into the business. 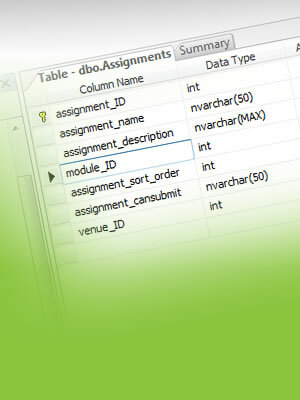 This usually involves data, databases, or moving data from one place to another. Adding automation to your website can greatly improve efficiency and profitability. Laubacher Multimedia's team of web developers have developed dozens of web applications ranging in complexity from simple, one-page data collection to enterprise-level database driven applications. We can help collect information, integrate systems, transfer data, or build intelligent user interfaces. Visit our web development portfolio to see what we are capable of. Here are some examples of the types of systems we have developed. e-Commerce: We have developed enterprise level e-commerce applications involving thousands of products. We are experienced in migrating data into an e-commerce platform and in building product management tools to help the e-commerce operator run their business. Online Learning: Laubacher Multimedia has developed online learning applications that allow administrators to set up course work, students to manage their workload, and instructors to grade work. We have also built systems that allow students and teachers to communicate better online. Sophisticated Surveys: We have helped companies deploy sophisticated survey systems to monitor customer satisfaction. Systems have included batch email deployment, data collection, and reporting aspects. Insurance Industry Automation: One of our specialties is in insurance automation. We have years of experience with rating, policy management, and systems integration. We are especially adapt at XML, web services, and user interfaces. Real Estate Listing Services: Our web developers have implemented several residential and commercial listing service integrations. We are capable of integrating with MLS services or other third-party providers of listing information. 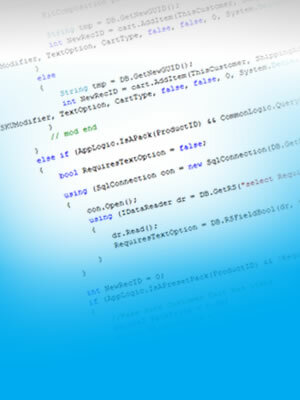 Dozens of companies have trusted Laubacher Multimedia with their custom web development work. You can too! We are experienced in developing and managing databases and database driven websites. 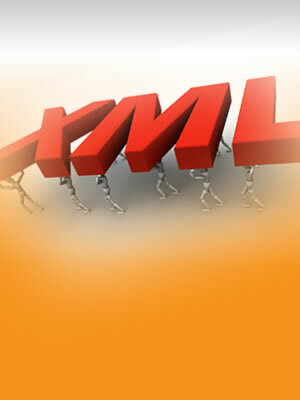 XML and XSLT is one of our areas of expertise. We have developed and consumed web services and we know how to seperate data from presentation. 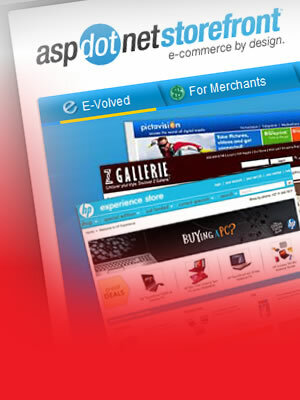 Count on Laubacher Multimedia for e-commerce development and customization using the ASPDotNetStoreFront platform.